Live video stream fundraising is growing at 400% per year, and the largest nonprofit brands are raising millions of dollars annually. The average age of a live stream donor is 35 years old, and most participants are Millennial or Gen Z generation. There are 150 million monthly active users on Twitch, the largest live video stream platform. Now is the time to deploy your own live stream fundraising program. 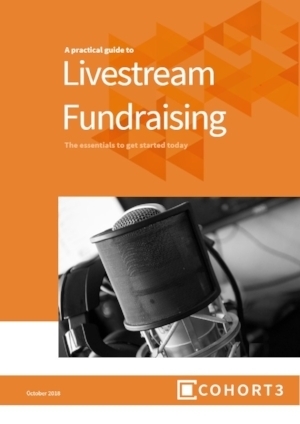 Use this report to understand the benefits and best practices of live stream fundraising. Get started today. Provide your contact info to get the report when it is released on October 26, 2018. I'd like to receive more information about Livestream Fundraising from report sponsor Tiltify.